This is a picture list of what I took. I had too much of some things and not enough of others. 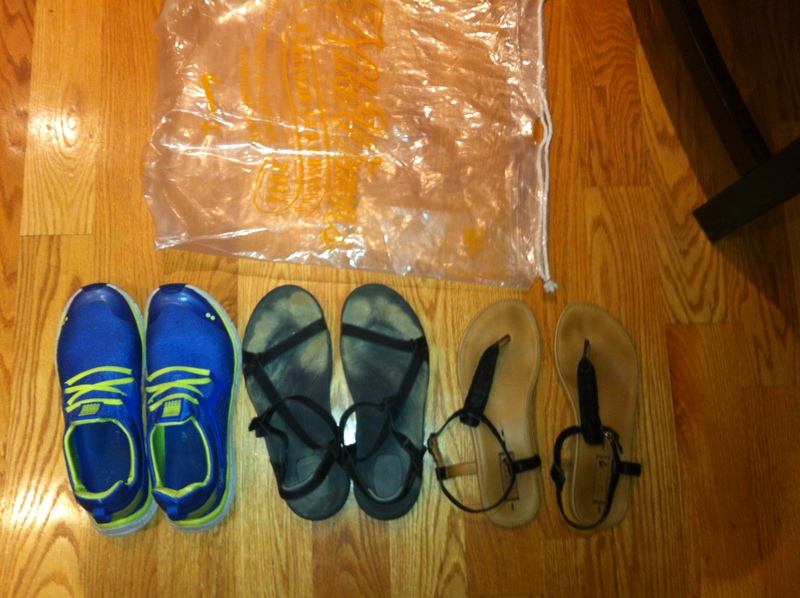 I brought – 3 pairs of shoes, one for water, one for hiking and one nicer sandal for everyday! Should have brought a pair of flip flops, easier on and off. ( Also easy to buy in any country for 10 USD or less). Not pictured, I brought – 14 pairs of underwear and three pairs of socks. 2 sports bras and three swim suite separates. Since we did laundry I could have done with less underwear and only 2 pairs of socks were necessary cause I really didn’t wear my shoes to often – mainly for hikes, riding motorbikes and a couple of times when my feet really need arch support! Bathing suites were good- prob could have taken only 2.. but where is the fun in that?! The denim shirt was great, it is comfy and goes well with everything! I didn’t use my rain jacket at all – could have gone with out it because honestly you could by something there if you really needed it. I used the cover up a lot at temples with my tank tops… I would suggest bringing a light sweater for airplanes, busses etc. It can get cold. 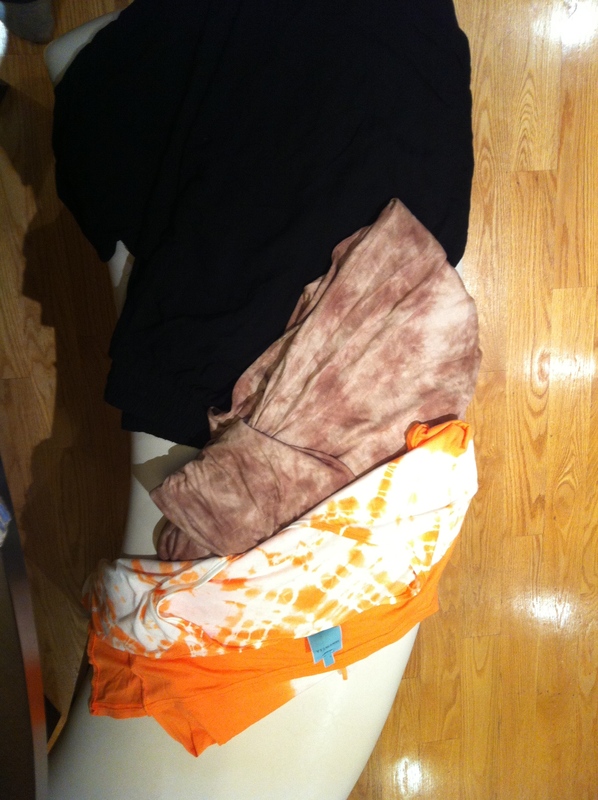 I brought one maxi dress with sleeves, one maxi skirt and one pair of long black pants. The maxi dress and skirt rarely got worn… even though appropriate for temples. I found I preferred wearing pants since we were walking so much and pants were just more comfortable than a skirt or dress. A dress that is easy to wear is a great idea for nights at the beach etc. Extra passport photo needed in Cambodia, otherwise you can pay $1 USD. I didn’t end up using the disposable water camera, my friend had an underwater camera that we used. Big camera was nice for taking shots at temples, but was heavy and cumbersome. Wipes and tissue is a great idea! Most places won’t have t.p. to use. I took out some of this sunscreen while packing… I had just enough with 2 bottles, one for face and one for body. You can always buy while traveling as well! 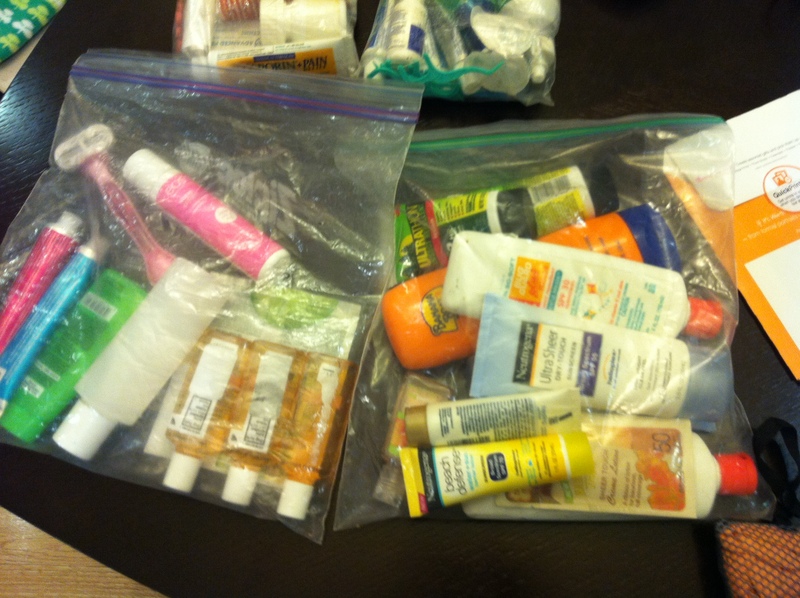 I brought way to many toiletries, it was unnecessary to bring so much because it is easy enough to pick stuff up at pharmacies, corner markets such as 7-11 or even drugstores like Boots in places like Bangkok. The hat was awesome! All the snackies were great. I am a hungry girl! and having something to snack on when we couldn’t find a place to eat or when we were out at temples was awesome! I took my collapsable water bottle which I liked.. cause when I wasn’t using it no extra room was taken up! Glasses! I normally wear contacts – ALL the time. I don’t like glasses they make me feel like a have no depth perception, but anywho I brought my glasses just in case and I am so glad I did! I am not sure if it was the air quality there but it was really hard for me to wear contacts. So I wore my glasses more often than not, be warned though I think the heat melted some kind of coating on my glasses – luckily I brought old ones so I didn’t care, but it is something to note! I brought SPI Money Belt, shamrock coozie ( for all the brews ill be drinking), socks for the airplane. The SPI belt is awesome!! 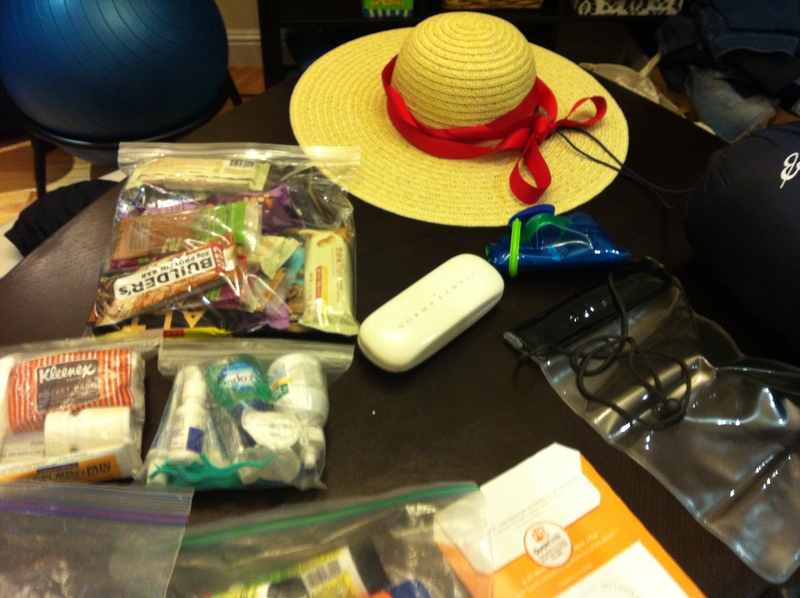 I use it for running at home – but it is also a great travel/money belt! My friend Michelle turned me on to them. They are a company in Austin, Texas. Shamrock coozie came in handy for beer but also as a camera case when my roomie lost hers. Fluffy socks were awesome for bus and plane rides! I really wish I had taken more short sleeve shirts. I ended up bring one last minute which was great cause thats what I wanted to wear most of the time. Short sleeves are good for temples and also when you want to be more modest, OR when your shoulders get burnt.. like mine did! 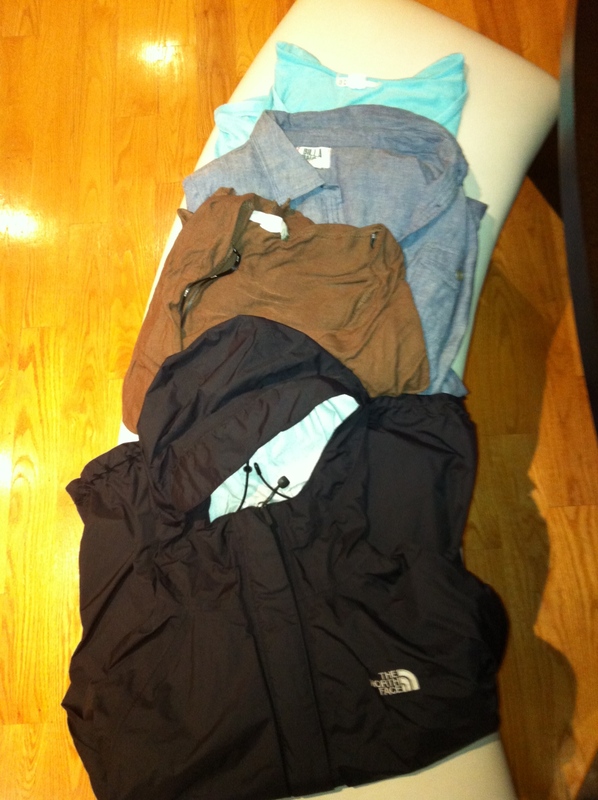 Not pictured – I brought 4 pairs of shorts, one exercise, two cotton flow-ey shorts and one pair of jean shorts. I used them a lot at the beach.. but no other time.. I wore all of them several times so I don’t think the amount was excessive. 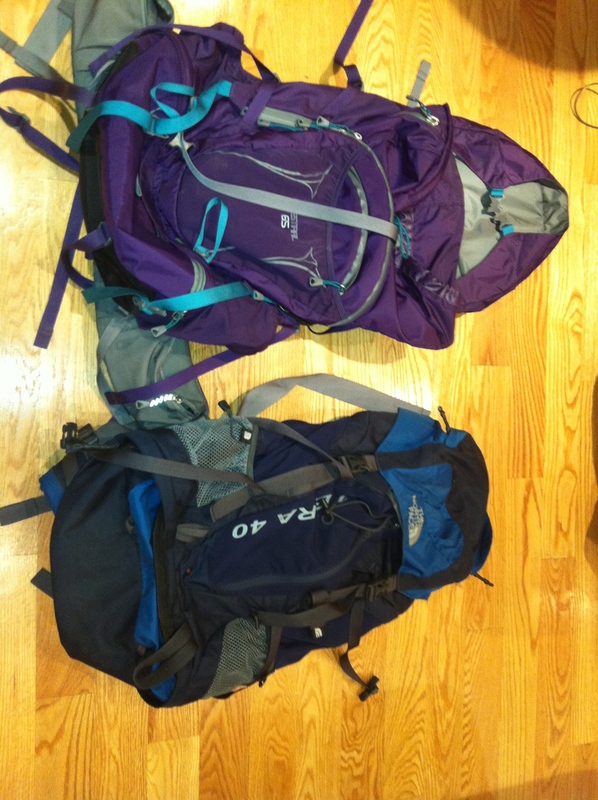 I ended up taking the 65 litre REI pack.. it kept expanding which was awesome for the souvenirs I bought along the way! Hope this list helps! If you have any questions or comments let me know. 🙂 Thanks! 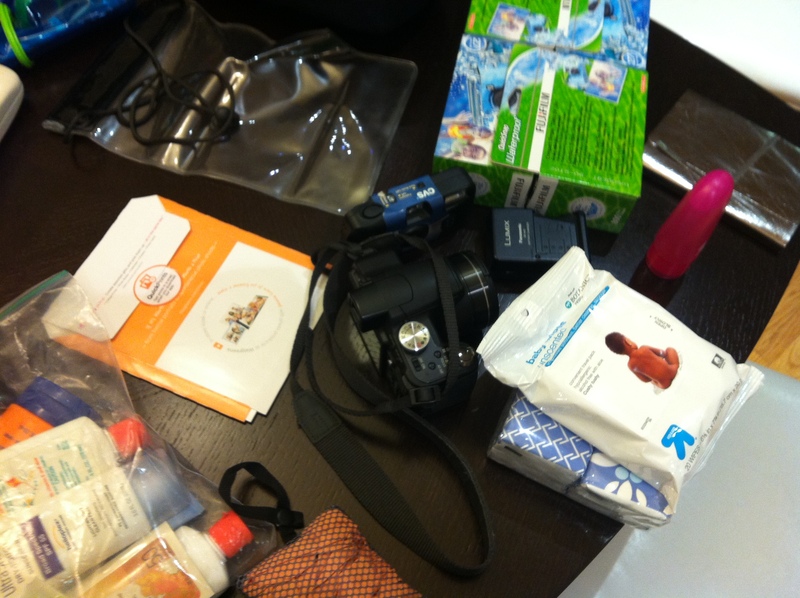 Next postOur Itinerary for 3 weeks in SE Asia. Nice outbrief. Your experiences are consistent with my experience too (less undies, less extreme wear like maxidresses). Have you considered a knee length skort as a good alternative (Athleta Whatever skort)?